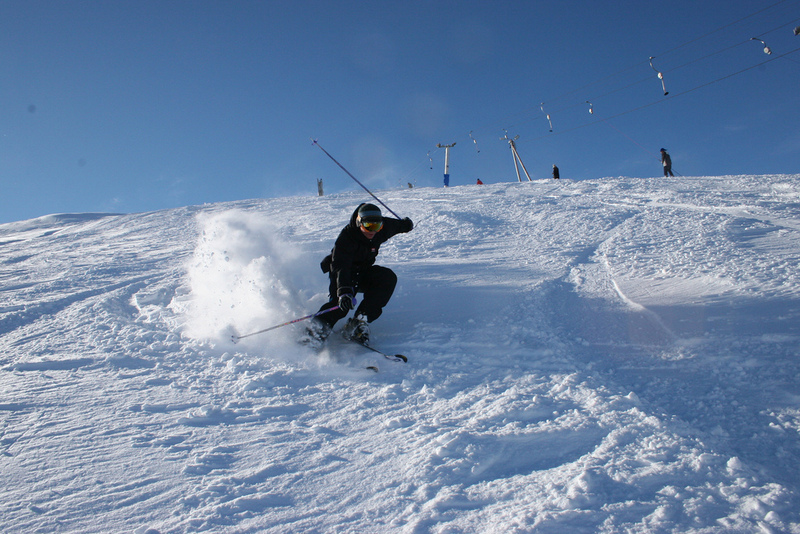 The three towns and their communes which surround Mont Blanc are Courmayeur in Aosta Valley, Italy, and both Saint-Gervais-les-Bains and Chamonix in Haute-Savoie, France — the latter being the site of the first Winter Olympics. A cable car ascends and crosses the mountain range from Courmayeur to Chamonix, through the Col Du Geant. 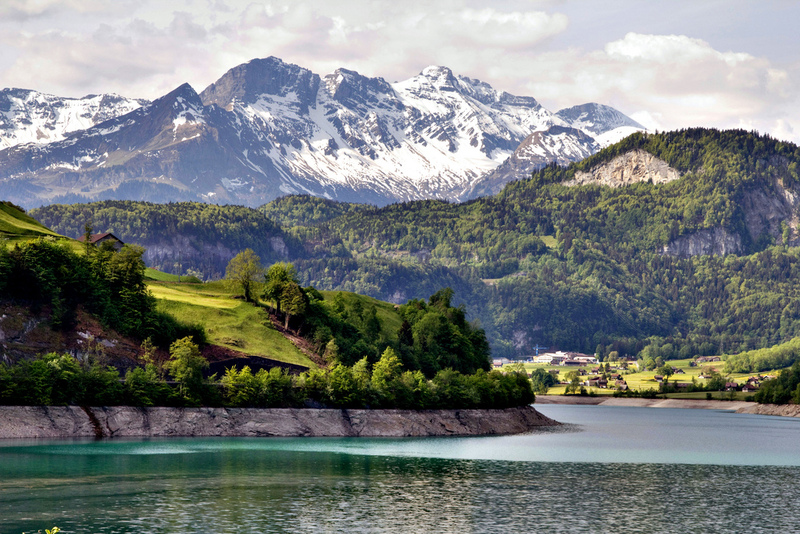 Switzerland is a landlocked country geographically divided between the Alps, the Swiss Plateau and the Jura, spanning an area of 41,285 km2 (15,940 sq mi). While the Alps occupy the greater part of the territory, the Swiss population of approximately 8 million people is concentrated mostly on the Plateau, where the largest cities are to be found. Among them are the two global cities and economic centres – Zurich and Geneva. 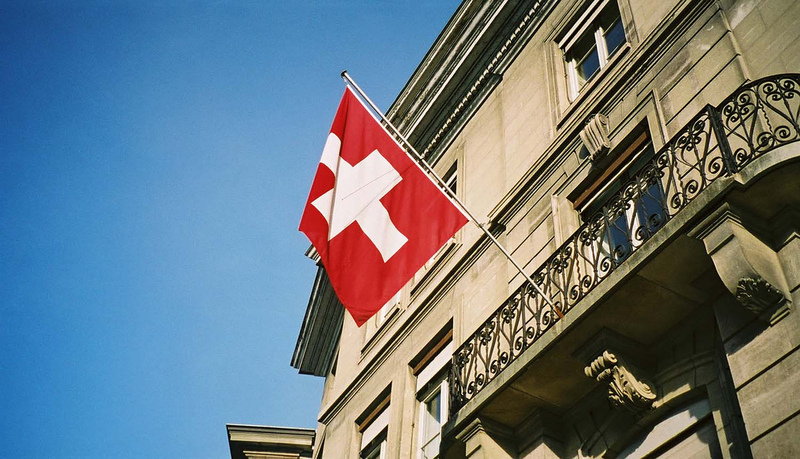 The Swiss Confederation has a long history of armed neutrality—it has not been in a state of war internationally since 1815—and did not join the United Nations until 2002. It pursues, however, an active foreign policy and is frequently involved in peace-building processes around the world. Switzerland is also the birthplace of the Red Cross and home to a large number of international organizations, including the second largest UN office. On the European level, it is a founding member of the European Free Trade Association and is part of the Schengen Area – although it is notably not a member of the European Union, nor the European Economic Area. The English name Switzerland is a compound containing Switzer, an obsolete term for the Swiss, which was in use during the 16th to 19th centuries. The English adjective Swiss is a loan from French Suisse, also in use since the 16th century. The name Switzer is from the Alemannic Schwiizer, in origin an inhabitant of Schwyz and its associated territory, one of the Waldstätten cantons which formed the nucleus of the Old Swiss Confederacy. The name originates as an exonym, applied pars pro toto to the troops of the Confederacy. The Swiss themselves began to adopt the name for themselves after the Swabian War of 1499, used alongside the term for “Confederates”, Eidgenossen, used since the 14th century.